The session intended to raise awareness of the benefits of empowering women worldwide and to create an enabling environment for them to play a more active role in society by taking a much more proactive and collaborative approach on all levels. It gathered leading female high-ranking officials and professionals from across the globe to share their experiences and insights on the immense potential of women to bolster economic growth and the importance of women’s leadership and empowerment, even during difficult times. 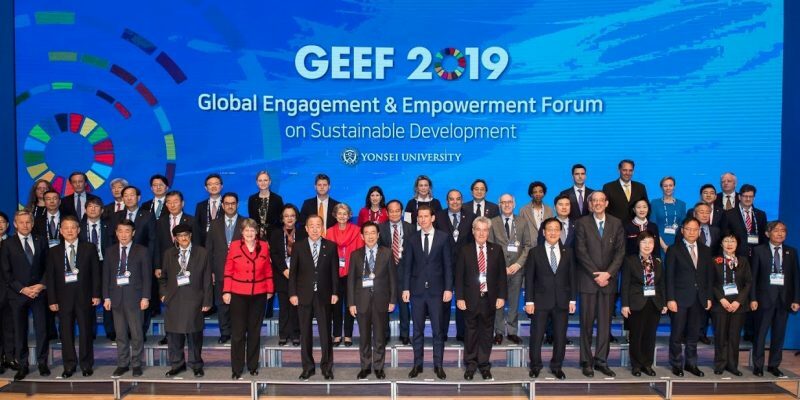 The session did not only provide a platform for such leaders and professionals from different sectors to be connected and create synergies to pursue sustainable solutions, but also built up a bridge between the international community and aspiring global citizens who want to become change makers. The audience discovered how strengthening women’s societal impact and position advance the interconnected global goals. By facilitating conversation and debate among the high-level speakers, the session delivered synergized ideas to expedite the pursuit of gender equality and the consolidation of the rights of women as human rights.